Hello Loverlies! I am a bit late for my LAMPANDLIGHT photo challenge, because we had some errands to do this morning/afternoon. Today is Day 9 of the Instagram photo challenge I am in and it is A Favorite Quote. Today I'm going with something that isn't from the Bible. This quote still means a lot to me. It helps me realize it is ok to be weird and not exactly normal. I know we all have some weird in us, just some of us can't help but let it all out. But that is fine and ok. You know why? Because the world would be so boring if we all acted and thought the same. 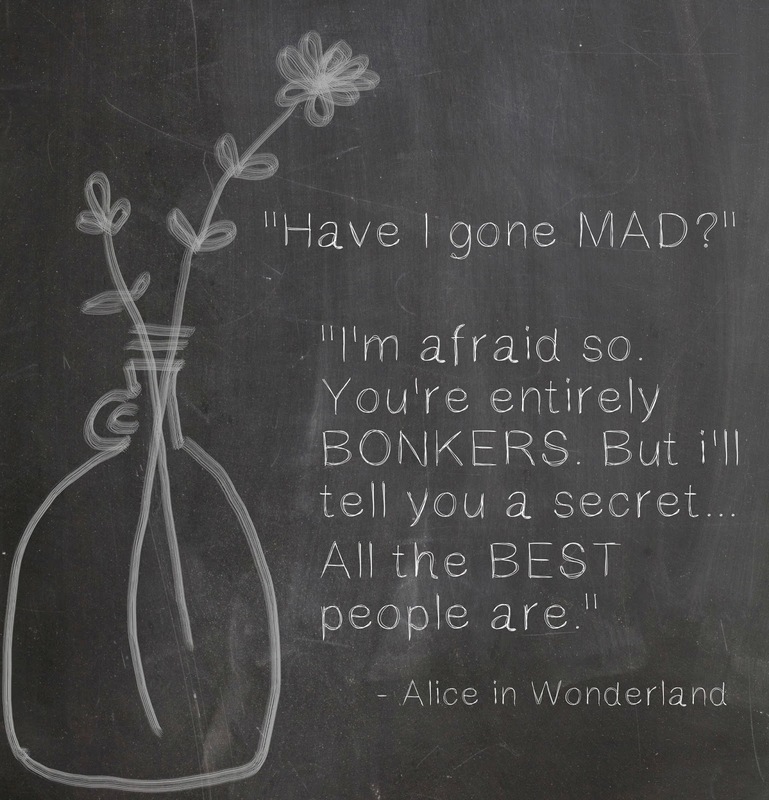 My quote is from Alice In Wonderland of course. One of my favorite movies. I own four different versions of it so far, lol. Soon five whenever through the looking glass comes out on blu ray. But I must MUST go see it in theater. Will you? Have a Blessed Day!